The Tequila! GTX is designed with both kids and adults in mind. 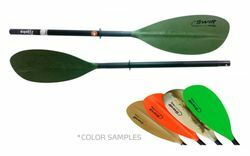 Whether paddling, fishing or just relaxing, this stable, strong and high- performance kayak is the ideal choice for family fun on the water. Get the extra mid section and there will be no need to buy two kayaks. Snap in the mid-section and your single seater is transformed into a high-performance tandem, so you can bring a friend. The record so far? 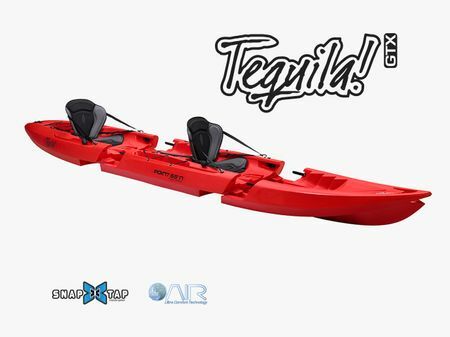 LL.Bean put together a 100-man kayak using the Point 65 Tequila! for their 100-year anniversary event. Never before has a kayak been so much fun and so easy to own. In fact, the only thing you’ll need to worry about is deciding whom to bring. Designed to accommodate tackles, cooler, and other necessities, the Tequila! GTX is the perfect fishing craft. Going by yourself or with a friend? You have both options in one kayak — just add the Snap Tap mid- section and go from solo to tandem in seconds. Rating for "Point65 Tequila Tandem"